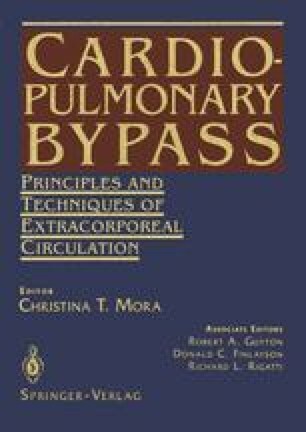 Cardiopulmonary bypass (CPB) is used so routinely in hospitals around the world that most of the participants — surgeons, anesthesiologists, perfusionists, operating room nurses and, above all, patients — forget that this landmark in clinical technology is not even 40 years old. In fact, many of the pioneers are still active in the field. Yet, so much has been done to transform a once-hazardous procedure into standard medical practice — through basic science, quality control, and good manufacturing — that one hardly remembers the days (not so long ago) when “pump-oxygenators,” as they were graphically called, were assembled just outside the operating room by tinkerers with a dream. The purpose of this chapter is to recall the inventiveness displayed by a small coterie of gifted investigators to whom we owe the mechanical and physiologic foundations of open-heart surgery, and to reflect on the new demands that continuing clinical advances will undoubtedly make on this technology.